The Pittsburgh Pirates today announced that they have acquired catcher Chris Snyder, minor league shortstop Pedro Ciriaco and cash considerations from the Arizona Diamondbacks in exchange for infielder Bobby Crosby, outfielder Ryan Church and right-handed pitcher D.J. Carrasco. The announcement was made by Pirates Senior Vice President, General Manager Neal Huntington. The Bradford Area Chamber of Commerce has set a goal of 1,000 Facebook fans by Tuesday -- and they're almost there. Join the nearly 800 people who have already become fans. Their ultimate goal is 3,000 fans. Piece o' cake! BROOKVILLE - Overcrowding in one county prison may prove to be a boon to the Jefferson County Jail. Monday Jefferson County Jail Warden Tom Elbel said he has been in contact with McKean County about the possibility of housing prisoners for that county. A Buffalo man is facing charges after police stopped him for speeding and learned he has 17 scofflaw suspensions on 11 different dates. Chautauqua County Sheriff’s deputies say that at around 12:40 this morning they stopped 20-year-old Darnell Carr for speeding on Route 60 in Cassadaga. During a driver license check they learned about the suspensions and that Carr was operating on a non-driver ID only. He was remanded to the Chautauqua County Jail on $5,000 cash bail or $10,000 property bond. 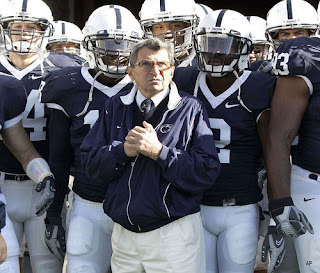 Washington, D.C. — U.S. Representative Glenn ‘GT’ Thompson, R-Howard, today sent a letter to President Barack Obama with 17 additional bipartisan signatures to ask that Joe Paterno be awarded the Presidential Medal of Freedom. Bass Pro is backing out of Buffalo. The Erie Canal Harbor Development Corporation was notified by Bass Pro President Jim Hagel today that they would be withdrawing from further consideration of Buffalo's waterfront development. "Western New Yorkers have waited fifty years for waterfront development to happen and we aren't waiting anymore. After nearly a decade of talk there comes a point when this community should expect our business partners to either sign on the dotted line or we as a community must again stand up for ourselves and demand we move forward. A federal judge in Buffalo issued a mixed decision in response to a request by Seneca Nation business owners regarding the PACT Act. Judge Richard Arcara’s ruling says Senecas in the mail-order cigarette business will have to comply with some provisions of the new federal law, but not all of them. The ruling temporarily exempts the businesses from the part of the law that requires sellers to comply with state and local taxing laws, but a provision prohibiting them from shipping cigarettes through the mail can be enforced. This will be in effect as the business owners continue to challenge the constitutionality of the law. Twelve chambers of commerce from the Great Lakes region today sent a letter (see attached) to President Obama urging him to take immediate action to block the destructive Asian Carp from infiltrating the Great Lakes. The economies of the American Midwest are under serious threat by Asian Carp. These invasive species are aggressively colonizing watersheds dangerously near the Great Lakes, risking an environmental and economic catastrophe. We collectively ask for your leadership and active and immediate federal engagement in this issue. While the threat is real and immediate, prompt action by the federal government could slow, or even prevent, calamity. HARRISBURG -- Rep. Jennifer L. Mann, D-Lehigh, has introduced HB 176, the Act to Ban Synthetic Marijuana, today in the Pennsylvania House. The legislation will ban the sale or use of "K2," a synthetic marijuana responsible for numerous emergency room visits by teens and children, and a drug which causes severe health effects in its users. "My legislation would ensure those found possessing K2 would be subject to the same laws as those possessing marijuana," Mann said. "Mixes sold on the street marked as ‘K2’ contain various dangerous chemicals which present real health risks to users. We must act immediately to ban this substance to protect the Commonwealth’s children." The drug is so new, no federal or Pennsylvania law exists to give police the right to arrest those possessing K2. On Wednesday, Kane Community Hospital (KCH), an affiliate of Hamot Health Foundation, held a celebration to honor employee participation in the Tenth Anniversary of the Kane Area Relay for Life. The celebration began in the Gardens at KCH where J. Gary Rhodes, CEO of KCH and Mark Papalia, Director of Operations grilled hot dogs and hamburgers for hospital staff. In his remarks to those gathered for a pre-luncheon ceremony, Rhodes commented that it was a most appropriate place to remember and to celebrate the many triumphs of cancer research and care. 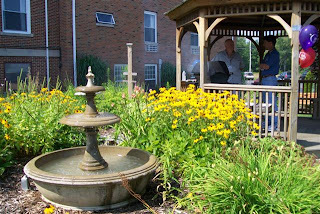 The Gardens at KCH were created after the loss of long time nurse Patti Zook (who suggested gardens at the Hospital) after her courageous fight with cancer. After her passing, many more KCH colleagues followed, Rhodes noted, remembering each and the toll cancer has levied on the Hospital and throughout the Kane Area. The Marcellus Shale Coalition announced Friday that former Governor Tom Ridge has agreed to serve as its strategic adviser. A coalition spokesman says Ridge's communications and policy groups will be paid $75,000 a month for help in such areas as public outreach, education and coalition building. We have learned from the past that we must develop our resources safely and efficiently. During my term as governor, we grew our economy by providing incentives for economic growth and always by ‘Growing Greener.’ The development of the Marcellus Shale will benefit all of the citizens of our state, our region, and our nation. Not only can the environmental and economic benefit be transformational for generations to come, our homeland security will be forever strengthened,” Ridge added. 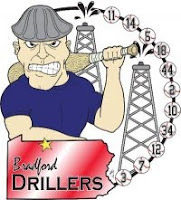 The Bradford Drillers baseball team is headed to Cooperstown, New York, to play in the Youth Baseball Tournament. You can get all the schedule information, as well as information about the team, at Bradford Drillers.com. More information is available at Cooperstown Dreams Park.com. The Allegheny National Forest announced today the temporary closure of Forest Road (FR) 188 in Lafayette Township, McKean County. FR188 between the intersection with FR504 and Westline will be closed from Tuesday, August 3 through Tuesday, August 10 for culvert replacement work. State Senator Richard A. Kasunic (D-Fayette/Somerset) today introduced two bills that would increase the number of State Police troopers and keep the department as close to full strength as possible. “While State Police officers have done an admirable job tackling expanded responsibilities with fewer resources, it is imperative that we take steps to assure that there are an adequate number of troopers patrolling our highways and communities,” Kasunic said. · mandate that a new State Police cadet class be formed if the total number of troopers falls 5 percent or more below the department’s compliment. Both measures would exempt troopers assigned to casinos, liquor enforcement or the Delaware River Bridge Authority from being counted toward the compliment. Washington, D.C .— U.S. Representative Glenn ‘GT’ Thompson, R-Howard, learned today that the Federal Aviation Administration has awarded $224,500 to the Bradford Regional Airport to purchase snow removal equipment and rehabilitate runways. NIAGARA FALLS, N.Y.– U.S. Customs and Border Protection (CBP) Field Operations announced the arrest of a United States citizen wanted in Maryland on homicide charges. National Fuel Gas customers will see a 20 percent increase in their bills starting Sunday. The monthly bill of a typical customer will go form $76.21 to $91.74. Nancy Taylor of National Fuel says the primary reason for this increase is the completion of a refund of previous over-collections that has been included in rates for the past year. She adds that the market price for natural gas is projected to be greater the current rate. National Fuel projects annual Gas Supply Charges each year on August 1 and can then update them through quarterly reconciliation of actual costs against projections. Any necessary updates can be made on November 1, February 1 and May 1. A man has been arrested for attempting to rob an Amish couple earlier this month. In an e-mail to WESB and The HERO, Cattaraugus County Sheriff’s deputies say they arrested 29-year-old Donald Pfaffenbach for attempted robbery and menacing. Deputies say on July 11, in the Town of Leon, Pfaffenbach, tried to forcibly steal property from an Amish couple by displaying a handgun and demanding their wallet. When the couple said they didn’t have a wallet, Pfaffenbach fired one round near the horse that was pulling the couple’s buggy. Pfaffenbach is in jail in lieu of $500 bail. Deputies say more arrests are pending after their investigation is complete. Frank Williams Sports Blog: PA Practice Smooth: "Thursday night's Big 30 practice at Kane went smoothly for Pennsylvania. A couple of players getting nicked up and leaving practice because ..."
If competition breeds success then there are already many winners in the Willow Creek Triathlon. The obvious winners in the Fifth Annual Willow Creek Triathlon, set for Aug. 7, may be determined by those who benefit from the race – the Disabled American Veterans of McKean and Warren counties. There are also the participants who strive to better themselves as well as bring out a little competitive side, pitting friend against friend, family member against family member. Participants swim for 300 yards in Quaker Lake in Allegany State Park, bicycle 15 miles to Giordano’s Corydon Hotel and run three miles to The Willows Restaurant. Individuals can do all three events or be part of a team. One example of the competitive spirit is a group from the Bradford Kiwanis Club. The team of Karen Buchheit, Candy Tingley and Denise Bean will compete against Steve Cottillion, a fellow Kiwanian. Bradford City Police answered quite a few calls Wednesday and early Thursday, according to the complaint report and request sheet faxed to WESB and The HERO by the police department. They got calls reporting harassment at the Riddell House and on Williams Street, noise on Bushnell Street, criminal mischief on Congress Street, a theft on Homestead Avenue, and a possible drug violation on Elm Street. Officers also looked into reports of unauthorized use of a motor vehicle on Congress Street and Brookline Court, underage drinking on Bank Street and DUI on South Center Street. They also got called to a couple of domestic incidents, served a warrant, transported a prisoner and assisted the fire department on Oakwood Avenue. American Refining Group announced today that Brad Penn Lubricants will be the major sponsor of the 13th Annual Autumn Daze Car Show being held September, 12 in downtown Bradford. The Autumn Daze Car Show has become the premier car show in the area. It features historic and classic vehicles, as well as muscle cars from the past, along with live entertainment featuring local talent. Frank Williams Sports Blog: Players Added to Big 30 Roster: "The following players have added to the roster for the Don Raabe Big 30 All-Star Charities Classic: Travis Enser West Valley Central School..."
A Pennsylvania Marine died Tuesday in Afghanistan. 21-year-old Lance Cpl. Abram Howard of Williamsport was killed by a roadside bomb in Helmand Province. He was assigned to Headquarters and Service Battalion, 4th Marine Logistics Group, Marine Forces Reserve, based out of North Versailles, Pa.
No construction activity is expected on Bolivar Drive next week, but PennDOT says bridge painting will take place later in August. All other restrictions, detours and closures will remain in effect. Bradford Bypass project in McKean County. This update is for the week of August 2. All work is weather and schedule dependent. Glenn O. Hawbaker, Inc. of State College is the contractor on this $28 million job. · Work on the Route 219 southbound ON-ramp at Elm Street continues. Traffic is using the existing shoulder. Contractor crew will be working close to the roadway placing bituminous pavement and backfilling for a new barrier wall. Expect delays during work hours. Frank Williams Sports Blog: PA All Stars Fall Behind at Practice: "The Pennsylvania All Stars had a second practice cut short, with Wednesday's workout at Port Allegany called because of a thunderstorm. Pen..."
A Bradford man picked up for scattering rubbish is facing drug charges, too. 25-year-old Cotton Winston was found scattering rubbish behind the Seneca Building at 1 a.m. on May 24, according to papers filed in District Judge Dominic Cercone’s office. Before Pitt-Bradford police arrived on the scene, Bradford City Police had him in custody, and discovered that he was in possession of a controlled substance. Winston waived his preliminary hearing and is free unsecured bail. After a domestic incident in which people were described as “yelling frantically,” a Bradford man is facing charges for having drug paraphernalia, careless driving and disorderly conduct. 25-year-old Shane Miller waived his preliminary hearing today in front of District Judge Dominic Cercone. On June 24, police were called to Orchard Place for the domestic and, after trying to calm Miller down, put him in handcuffs. As an officer was standing behind Miller he said, “Yeah, those are track marks. Quit looking at them.” Officers then noticed that a ring fell off Miller’s finger and, when they were set to put it in his pocket, they saw a syringe. Frank Williams Sports Blog: Bills Open Camp With Many Question Marks: "It's a shame that the Bills aren't a winning team. Look at the fan support, the talk show lines never fail, win or lose, to light up in Buf..."
Bradford City Police on Tuesday were asked to check out a suspicious person on High Street. They were also told about a traffic hazard on Route 219 and criminal mischief on East Main Street, according to the complaint report and request sheet faxed to WESB and The HERO by the police department. Police also responded to several domestic incidents, got a number of requests to speak with an officer, looked into disturbances on Charlotte Avenue and Bushnell Street, and were asked to do something about a barking dog on Euclid Avenue. A West Valley, New York, man has been arrested by the Southern Tier Regional Drug Task Force and Cattaraugus County Sheriff’s deputies. 24-year-old Adam Dunmire was picked up Tuesday afternoon on an indictment warrant. He’s charged with criminal sale and possession of a controlled substance. Dunmire is in jail without bail. Copies of “The Great Wave off Kanagawa,” a famous woodblock print by Japanese artist Katsushika Hokusai, can be found in the Metropolitan Museum of Art in New York, the British Museum in London, and the Regina A. Quick Center for the Arts at St. Bonaventure University. This summer, those renowned art centers share that distinction with public libraries and institutions in at least 16 communities in southwestern New York and northwestern Pennsylvania, where mosaic reproductions of the famous print are being created one small ceramic square at a time. Each of these mosaics is the work of as many as 90 artists – from elementary school-age youngsters to teens and adults. 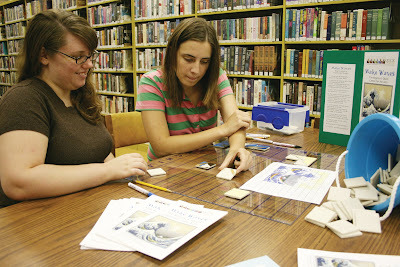 The project is part of the summer reading program hosted by public libraries nationwide. Dr. Yong-Zhuo Chen, University of Pittsburgh at Bradford professor of mathematics presented a paper at the American Mathematical Society’s Eastern Sectional meeting at the New Jersey Institute of Technology in Newark, N.J.
Chen’s paper, “Some Contractive Type Mappings and Their Application to Difference Equations,” used a new method to solve a type of difference equation. Difference equations are used to model phenomena in biology, ecology, physiology, physics, engineering and economics. The paper has also been accepted for publication in the Journal of Difference Equations and Applications. Chen was born in China. He obtained his Master of Science degree in mathematics from Shanghai Normal University and taught there as an instructor for a couple of years. He came to the United States at the end of 1983 to attend the University of Pittsburgh, where he received his doctorate in mathematics in 1988. Three people have waived hearings on charges that they sold drugs to confidential informants for the state police. 44-year-old Robert Albney of Eldred is accused of selling marijuana and 60 Xanax pills to the informant for $280 on May 27, 2009, outside the Goodwill Store in Bradford. 47-year-old Nicholas Elliott of Lewis Run is accused of selling 2 Vicodin pills for $10 on December 8, 2009, at McDonald’s in Bradford. The next day he allegedly sold 20 pills for $100. 42-year-old Dianna Elliott is accused of selling 20 Vicodin for $105 at the Chestnut Street Uni-Mart on November 5, 2009. She also threw six other pills in for free for the confidential informant to try, according to papers filed in District Judge Dominic Cercone’s office. All three people are free on unsecured bail. The hardware issue with Charles Cole Memorial Hospital's voice mail system has been resolved and it is now working again. A Bradford man charged with resisting arrest told police he just wanted to know what a Taser felt like. 30-year-old Matthew Simonds waived his preliminary hearing today in front of District Justice Dominic Cercone on charges of resisting arrest, fleeing or eluding police, disorderly conduct, driving at an unsafe speed, careless driving and DUI. At about 2 a.m. on June 25 police say Simonds was driving on West Washington Street at about 50 mph in a 25 mph zone. Papers filed in Cercone’s office also say he was swerving and crossing lanes. When police tried to stop him he turned onto Harding Avenue and into a driveway, where he attempted to hide the car behind a camper. After observing Simonds’ “glossy eyes” and beer cans on the floor of the car, police asked him to get out of the vehicle but he gripped the wheel and said he wasn’t going anywhere without a fight. When police told him there wouldn’t be a fight because they have Tasers, he told them to get the Tasers out. WASHINGTON, DC — Provisions proposed by U.S. Senator Bob Casey (D-PA) to require the disclosure of chemicals used in hydraulic fracturing has been included in The Clean Energy Jobs and Oil Company Accountability Act to be considered on the Senate floor. The language is based on part of Senator Casey’s Fracturing Responsibility and Awareness of Chemicals Act (S.1215). New York Governor David Paterson will not face criminal charges for his role in a top aide's domestic violence case. Retired Judge Judith Kaye released a report outlining tampering allegations against Paterson. After the confrontation between the aide, David Johnson, and his then-girlfriend Sherr-una Booker last Halloween Paterson called Booker and later endorsed a press statement that said the incident was not violent. Booker filed a police report saying Johnson choked her, threw her against a mirror and tried to rip her Halloween costume off. After the Paterson call, she did not show up for court, and the complaint was dropped. Kaye’s report does, however, say that Paterson had inappropriate contact with Booker. An Altoona area cocaine ring responsible for distributing $2 million worth of cocaine over the past two and a half years was broken-up today by state narcotics agents and local police. 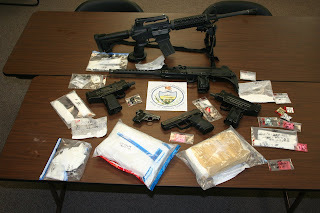 Attorney General Tom Corbett said the investigation, known as "Operation Homegrown" began in November 2009 and focused on Brian Pfister, an Altoona resident, who was allegedly obtaining cocaine from three separate sources. According to the grand jury, Pfister was a major supplier of cocaine to the Blair County area, with his main center of operations at his home in Altoona. Agents estimate that Pfister's organization distributed at least $2 million worth of cocaine over the past two and a half years. The Bradford Area Chamber of Commerce is issuing a challenge to Facebook users. They want 1,000 fans of their new page by Tuesday. A Roulette man is in jail after being accused of firing a weapon and telling two people he was going to kill them. State police say at about 10:30 Monday night 60-year-old Randy Cornelius discharged two round out of a weapon and pointed the weapon at a 35-year-old Emporium woman who was in her car, and told her he was going to kill her. 8-year-old and 10-year-old girls were in the vehicle when Cornelius pointed the weapon. Cornelius then allegedly told a 41-year-old Roulette man that he was going to kill him and his wife. Cornelius is charged with simple assault, terroristic threats, recklessly endangering another person and harassment. His bail is set at $50,000. A Bradford businesswoman is “aggressively” expanding her business, and creating jobs in the process. Carolyn Boser Newhouse of Super User Technologies will start providing video surveillance and access control services, and asked for a $100,000 Enterprise Zone loan to help with the startup costs. Bradford City Council approved the loan during its meeting Tuesday. The loan has an interest rate of 3 percent for a term of up to 15 years. She told council that many people think her company is an information technology business but it’s actually wired and wireless communications infrastructure. “We put the wire in the wall and the waves in the air,” she said. Newhouse said she expects to create seven new jobs to start with. The second year plan would be to offer monitoring and hosting services. Code enforcement officer George Corignani says if people have a problem with his department, all they have to do is call. “If you have a problem, call us at our office. We’ll take care of it. And if you’re not satisfied then, there’s a problem. But we’re not getting any phone calls about any of this stuff,” he said, adding that he doesn’t know about some of the problems until after he reads about the council meetings every other Wednesday. “I’m just trying to do my job and do it right. We can all do this together and work it out together because – Guess what? – I’m not going anywhere,” Corignani said. A Bradford man has been arrested and arraigned on theft and insurance fraud charges dating back to 2006. 56-year-old John Charles Hancock of 7 Cornelius Lane is accused of collecting more than $38,000 in unemployment and disability payments from an insurance company. He’s charged with insurance fraud and theft by deception, both third-degree felonies, according to papers from the Pennsylvania Attorney General’s Insurance Fraud Section filed in District Judge Rich Luther’s office. He’s free on unsecured bail and is scheduled for a preliminary hearing August 11 in Luther’s office. MAYVILLE, NY -- Chautauqua County Executive Gregory J. Edwards is pleased to announce that the Chautauqua County Jamestown Airport Runway Safety Area Improvements project has received a prestigious award. This $15 million project, designed and managed by C&S Companies, improved the runway safety area (RSA) for Runway 7-25 to meet FAA design standards. RSAs are critical safety features of airports that accommodate an accidental overrun, undershoot, or veer-off of an aircraft. Edwards said the Chautauqua County Jamestown Airport Runway Safety Area Improvements project won a Gold award at the 2010 Engineering Excellence Awards Program of the American Council of Engineering Companies (ACEC), New York Chapter. This annual event recognizes and celebrates engineering achievements that demonstrate the highest degree of skill and ingenuity among member firms. A Springville teenager is facing charges following a hit-and-run boat accident in the Bemus Point area. 19-year-old Peter Saunders is charged with leaving the scene of a boat accident that happened on July 17. Chautauqua County Sheriff’s deputies say the accident happened when a 23-foot recreational vessel hit a 73-foot public vessel. The operator of the smaller boat left the scene and didn’t report the accident. Deputies say that after a lengthy investigation by members of their Marine Division, and with help from several witnesses, they were able to identify Saunders, who will appear in Town of Ellery Court at a later date. Evans-Corrales said she was asked by the anthology editor Jonathan Dunne to translate the poem “Abedoeiras” or “Birches” by Aquilino Iglesia Alvariño. “The poem that I translated is from Iglesia Alvariño’s 1947 collection ‘Comaros Verdes’ (‘Green Borders’) and belongs to the Post-Spanish Civil War period of 1939 to 1981,” Evans-Corrales said. She explained that Iglesia Alvariño is known for his love of the Galician countryside. Like many Spanish poets of his period, he managed to evade the censorship of General Francisco Franco by writing “innocuously” about aspects of the area that is now officially an autonomous region of Spain under a kind of federalized system. Pennsylvania and New York have been named two of 19 finalists in the competition for federal Race to the Top money aimed at certain education reforms. This is the second time Pennsylvania has been a finalist in its quest to win up to $400 million for education in the state. Bradford, Kane, Warren and Brockway are among the school districts that submitted Race to the Top memoranda of understanding and would be included in the funding mix. It's unclear how many states will be awarded funding. In the first round only two states – Delaware and Tennessee – got money. "Pennsylvania's finalist status in round two of Race to the Top is a real testament to the hard work we've already done in implementing targeted reforms that help our students to achieve and succeed," Governor Ed Rendell said in a news release. "Pennsylvania's education community should be enormously proud that these efforts have been recognized in advancing our Race to the Top application." U.S. Customs and Border Protection Field Operations today announced that they seized about 20 pounds of Ecstasy from a Canadian citizen who was trying to cross the Peace Bridge on Sunday. CBP officers encountered Anthony Ighodaro, a 29-year-old Canadian citizen from Mississauga, Ontario, as he applied for admission into the United States at the Peace Bridge border crossing in Buffalo. Ighodaro provided a Canadian passport as proof of citizenship and identity and told the primary CBP that he was on his way to the mall to spend the day shopping. Ighodaro was selected for a CBP secondary enforcement exam. 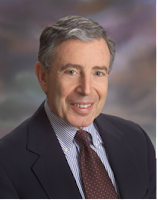 Harvey Golubock is retiring as president and chief operating officers of American Refining Group, and will be replaced by Jeannine Schoenecker, current chief financial officer, the board of directors announced Monday. Golubock’s retirement as president and COO is effective March 31, but he will still be president of ARG Resources Inc. and will be vice chairman of ARG’s board of directors. Also, the board announced that Tim Brown will be responsible for all marketing related activities. Golubock joined ARG as the President and Chief Operating Officer in 1997 when the Company purchased the Bradford refinery. Prior to joining ARG, Golubock spent 28 years with Witco Corporation and held many senior positions including Vice President of Witco's Lubricant Group. Prior to Witco, Golubock worked at Gulton Industries and Permutit Company. WASHINGTON, DC— U.S. Senator Bob Casey (D-PA) today again urged leaders in the Senate to move to pass increased federal medical assistance percentage (FMAP) funding for states to avoid state budget cuts and layoffs. In a letter urging that the measure be added to the next available legislative vehicle, Senator Casey highlighted the urgency of the measure to Pennsylvania. Pennsylvania’s budget has assumed the state would receive $850 million from increased FMAP assistance. Route 6 in Coudersport near Mill Street has re-opened. The road had been closed, and a detour was in place, because of a gas leak. Three people were in Cattaraugus County Court Monday facing drug charges. 57-year-old Richard Cottom has been sentenced to 2 years in prison and 2 years’ probation for possessing crack cocaine with the intent to sell it on November 14 in Olean. 37-year-old Joseph Cole has been sentenced to one year of weekends in Cattaraugus County Jail for possessing a narcotic drug with the intent to sell it on January 18, 2008, in Olean. 58-year-old Claudia Cleveland of Randolph pleaded guilty to attempted criminal sale of a controlled substance. Between March 19 and 27, 2008, in Randolph, she sold a narcotic drug, according to a fax sent to WESB and The HERO by the district attorney's office. The Community Blood Bank of NW PA and Country Fair have teamed up to help keep the local blood supply safe this summer. Two lucky donors this week will win a $50 gas card generously donated by Country Fair. One donor on Thursday will win and another on Saturday. The summer is the hardest time of year for the blood supply and with all the travelling everyone could use a gas card. The Community Blood Bank is open Thursday at Union Square from 3:30 to 7:30pm and Saturday 9a.m. to 1 p.m. No appointment is needed to save a life. "This is such a great promotion," Says Dan Desrochers Director of Marketing at the Community Blood Bank. 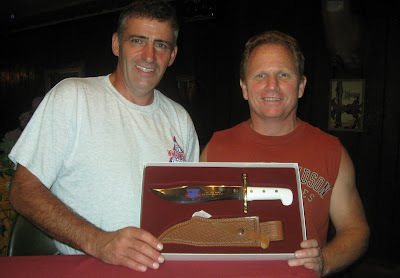 "We are so grateful to Country Fair. We hope lots of donors come out and give blood this week." Route 6 has been shut down near Mill Street in Coudersport because of a gas leak, according to state police. Traffic is being diverted onto Route 872 to Dutch Hill Road and back onto Route 6. State police will send an update when the road is re-opened. Frank Williams Sports Blog: Big 30 Teams Practicing for 37th Classic: "The 37th Don Raabe Big 30 Classic is less thant two weeks away. Tonight the Pa All Stars workout at Sheffield and the NY All Stars practice ..."
There are six Tuna Trekkers down, and as organizers hope, many more to go. The first six Tuna Trekkers have logged in the 31 miles of the Tuna Valley Trail Association and are on their way to become official Tuna Trekkers. The Tuna Trekker Program is a fundraiser that benefits the America Red Cross of McKean and Potter counties. Tuna Trekker hopefuls have until Aug. 15 to turn in their log books. Bond said they had done it last year and when she saw the announcement for this year’s event, they seized the chance to do it again. The two said one of the main motivating factors of doing the Tuna Trekker program this year was the addition of the geocaching component. This was a welcome new challenge that broke up one of the longer trails in the system – the Indian Pipe Trail. A Portville man is facing charges after an accident earl Sunday morning in South Valley. Cattaraugus County Sheriff’s deputies say 30-year-old Charles Daly Jr. was on West Perimeter Road when his vehicle left the road and wrecked near the intersection of Pierce Road. Daley is charged with driving while intoxicated with a blood alcohol content higher than .08 percent and a number of other offenses. He’s free on his own recognizance. With thousands of paintbrush strokes over the weekend, Ohio artists with disabilities created a mural marking the anniversary of that federal law (the Americans with Disabilities Act). The mural was created by Kong Ho, a master muralist at the University of Pittsburgh at Bradford, Pa.
To read the full story, go to the Columbus Dispatch. At the hearing, Senator Casey heard from panelists testifying on current emergency response procedures and whether there is a need to increase regulation over emergency response procedures. Senator Casey also sought input on legislation he plans to introduce to improve emergency response at oil and gas wells. Thirty-seven high school students from McKean, Elk, Cameron and Potter counties rose to the challenge of college life last week at the Seneca Highlands Intermediate Unit 9 Summer Academy at the University of Pittsburgh at Bradford. Now in its 25th year, Summer Academy affords students the opportunity to live on campus and experience college-style courses while enjoying activities and fieldtrips throughout the region. The academy, which started July 18 and ran through Saturday, July 24, is sponsored by Pitt-Bradford and the IU 9. Students were able to choose one of three tracks: drama and communications, art and sculpture, or criminal justice and forensics. The students worked on a variety of projects within their designated tracks and presented them at the end of the academy.